MassEvac v2.0 enables emergency planners to simulate the impact of a large-scale mass evacuation on critical infrastructure and resources. Users can set over 30 subject matter expert-approved parameters, define specific geographic areas of interest, select specific data sources, and compare results in order to test and revise response plans for an unlimited number of user defined scenarios. 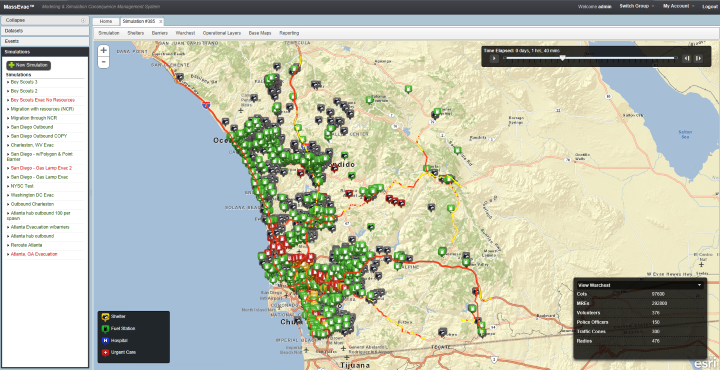 The Emergency Response Common Operating Platform offers customized web-accessible alert and analytical tools designed to reduce emergency response time and improve coordination efforts. The system enables statewide access to information sharing and coordination between stakeholders such as government officials, National Guard forces, emergency first responders, law enforcement agencies, and the general public. The Emergency Response Common Operating Platform includes role-based authentication to ensure proper data access, and a logging capability to ensure data integrity. 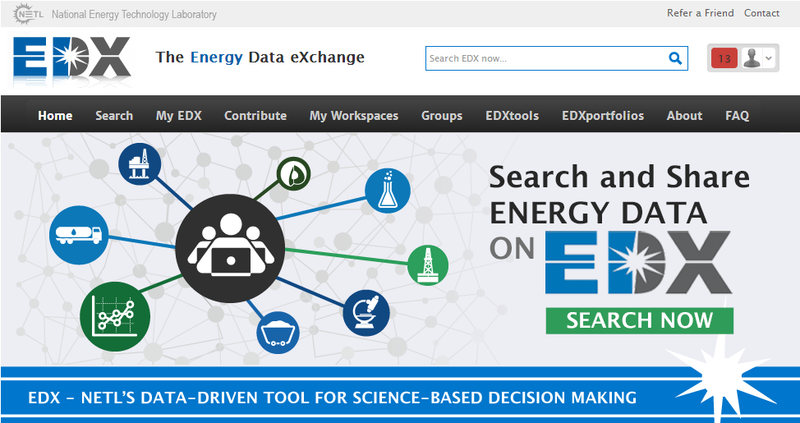 The Energy Data eXchange (EDX) is an online system to support internal coordination and collaboration as well as timely tech transfer of data-driven products across NETL’s research portfolios. EDX coordinates historical and current data and information from a wide variety of sources to facilitate access to research that crosscuts multiple NETL projects/programs. EDX provides external access to technical products and data published by NETL-affiliated research teams. NETL-affiliated researchers can use EDX’s Collaborative Workspaces to coordinate and share work with a variety of organizations and institutions in a secure environment. The Department of Energy/National Energy Technology Laboratories Geocube is a flexible, customizable web mapping application that concatenates key spatial datasets and information relevant to energy research needs for a given region. The Geocube connects users to data and information spanning the subsurface to the surface via EDX, integrating its online search capabilities and current data feeds. Users have the flexibility to develop maps with spatial elements of interest to them and export and download their custom web-map and/or the underlying datasets. 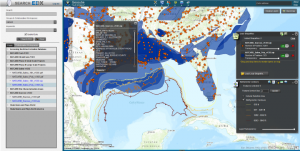 The first Geocube released focuses on the offshore Gulf of Mexico region. Throughout the next year additional Geocubes for the U.S. are planned.